This year, on Friday October 12, the Hopkins Student Diversity Board hosted the Culture and Community Day assembly, but with an expanded purpose. Introduced at Hopkins last year, Real Talk was a student performance series that allowed Hilltoppers to share an aspect of their identity with the school during Assembly. One of these speakers, Naomi Tomlin ’19, reflected on her motivation to participate in Real Talk: “I wanted to put a voice to my thoughts and show other people that it's okay to put yourself out there.” She further explained that the feedback from the community was overwhelmingly positive, as everyone accepted her with open arms. Despite this positive feedback from the Hopkins community, the Board still saw plenty of room for improvement. Its members are working to have Real Talk reach beyond Assembly time, and even beyond The Hill. The Board wanted to stress that any medium a Real Talk performer feels is most powerful to get their point across can be used to express their voice. Melody Parker ’19, a current head of the Board, explained that the main goal of the initiative “is to bring the community closer together by understanding the people we see every day just a little bit better.” In order to accomplish this, the Board will be hosting panels attempting to answer the question “what is it like to be... on The Hill?” The panels will occur during G and H block later this year and will consist of Hilltoppers who fall under a shared identity. Becky Harper '07, former Hopkins student and current Director of the Office of Equity and Community, explained that the way the school talks about diversity has changed immensely in recent years. “The most visible changes are the name of the departments as well as the number of faculty members involved.” New staff members, Dante Brito, an Athletic Department Associate, and Mooney, now serve as Associate Directors of the Office. Formerly known as the Diversity Office, which was comprised only of a director, the Office has always maintained similar goals. Harper believed the new title of the Office of Equity and Community more explicitly states the nature of the work. “Diversity remains a priority, yet diversity does not take place in a vacuum.” As a result of the growing size of the department combined with the thriving Student Diversity Board, the work is being attended to by more members of the Hopkins community than ever before. Other than the Real Talk initiative, the Board has a myriad of ideas and projects in the works to accomplish their overall goal of making Hopkins as inclusive as possible. 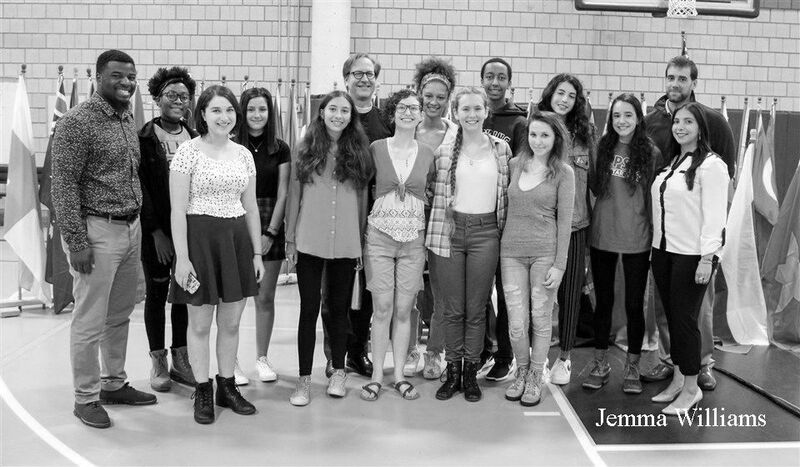 “There were times in my life I felt not included, not treated equally, in a very undiverse setting,” added Brito, “all of our projects intend to make sure no child feels like that at Hopkins.” Parker explained that by the end of the year, they hope to have a Women in STEM panel, a benefit concert, a poetry slam, trivia night, and a Social Justice Leadership program. Although the Office and the Board are composed of a limited number of students and teachers, they all emphasized the importance of broad community involvement. The Board meets every Maroon Tuesday in the Weissman room from six to seven. These meetings are open to everyone and student attendance is strongly encouraged. The Board’s latest endeavors can be found on the Equity and Community Corner in the @HOP email newsletter. With the number of projects underway and the continuous expansion of the department, Harper affirmed that “it is an exciting and hopeful time for the Office."